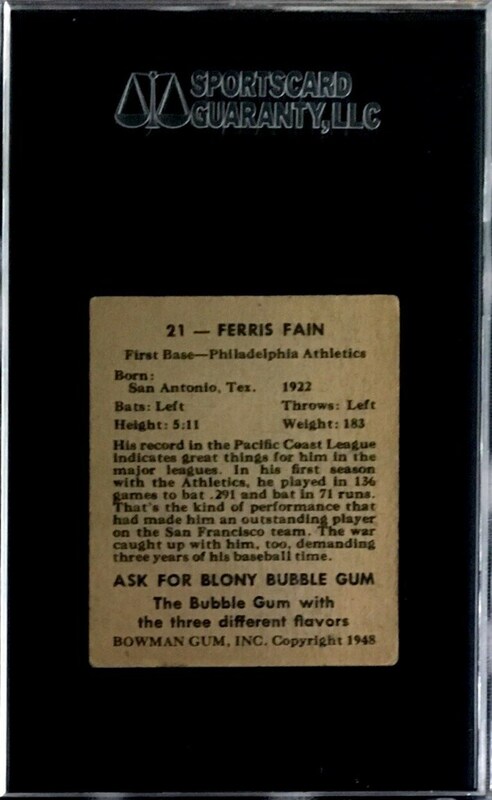 Up for your consideration is a 1948 Bowman #21 Ferris Fain Rookie card. Fain was a Philadelphia Athletics star that won 2 American League batting titles. 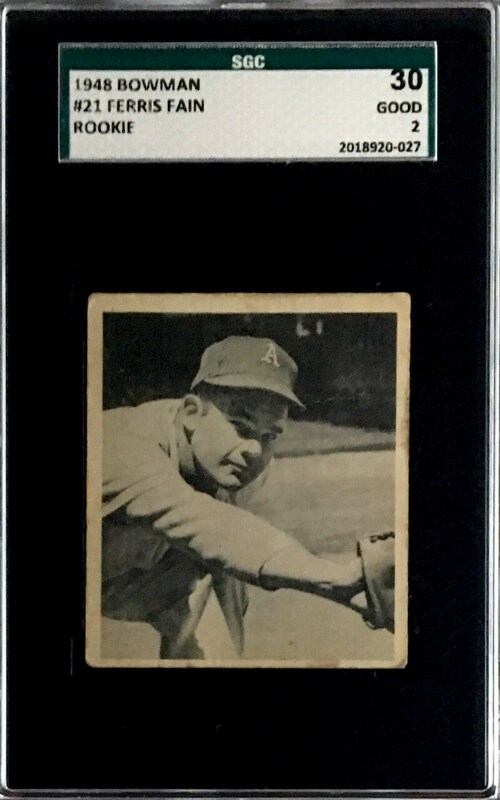 For sale here is his desired Rookie card graded an SGC 30.